Jon Jones wore Warrior Wear’s new Annihilation MMA Shorts in his TUF 10 fight against Matt Hamill. Although Jones lost via disqualification (illegal elbows) he demonstrated a high-level of fighting ability and it is only going to get better; since Jones is only 22 years old and trains with top MMA trainer Greg Jackson. The MMA shorts Jones wore were modified with a full side split to give an extended range of mobility and less restriction for kicks. 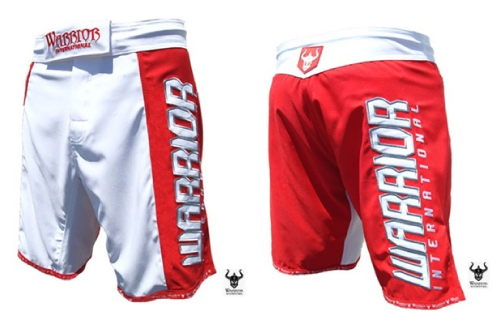 These Warrior shorts are rated as one of the Top 10 best MMA shorts around with excellent durability and superior comfort.